Jane G. Curtin stopped working outside the home after marrying in 1952, but she kept busy raising seven children while her husband, John T. Curtin, pursued his career as a federal prosecutor and judge. "They were a great team. My mother was calm, confident and extraordinarily supportive of everything he stood for," recalled one of her daughters, Patricia M. Curtin. "She was a warm, generous person with a great laugh." 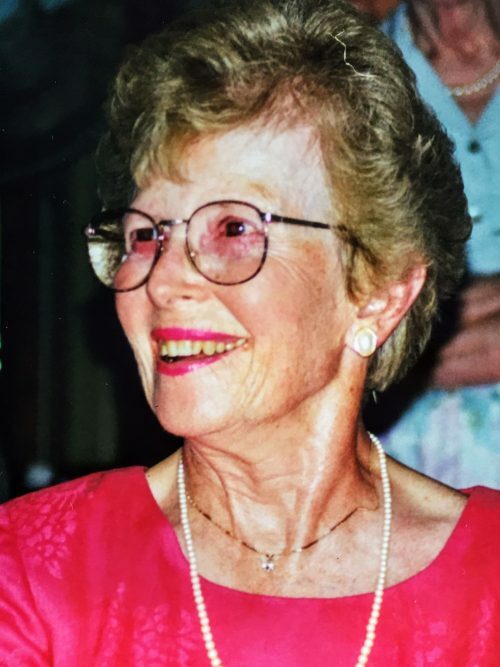 Mrs. Curtin, the energetic and supportive wife of the late U.S. District Judge Curtin, died Monday in her Orchard Park home after a brief illness. She was 94. Judge Curtin retired in 2016, after 48 years on the bench, and he died April 14, 2017. Patricia Curtin said her mother, the former Jane Good, "would often say, 'I'm a Good girl, and then she would laugh. She never sought the limelight, but she was the heart and soul of our family life during my dad's entire career." According to her daughter and two longtime friends, Mrs. Curtin stood by her husband – one of the region's most high-profile judges for decades – and helped him to endure community reactions to some of his most controversial and far-reaching court decisions. Some of his major rulings involved desegregation of the Buffalo public schools and the establishment of minority hiring quotas in the city police and fire departments. Born in the city and raised in North Buffalo, Mrs. Curtin attended St. Mark's Catholic School and graduated from Bennett High School. She also attended classes at Canisius College and Daemen College. She met her future husband after his military service in World War II. She worked for several years as the executive secretary to a banking executive, but left that position after getting married. Two of her best friends, Margot Glick and Jane Griffin, both described her as a sweet, caring woman who was "no pushover." She was known to many friends and family members by the nickname "Janeo." "She was a strong woman," Glick said. "She raised seven children while married to a husband who was very busy and very much in the public eye. She ran the household, she ran the show for their family while he was working. For the most part, Jane was content to be in the background." "Jane was extremely proud and supportive of her husband and his role in the community," Griffin added. Mrs. Curtin was a longtime active member of St. Mark's Church in North Buffalo, and after that, St. Joseph University Parish, also in North Buffalo. A resident of North Buffalo for most of her life, Mrs. Curtin loved competitive sports. She was a skilled golfer, tennis player and skier who closely followed sports her entire adult life. She was a former volunteer at Hospice Buffalo in Cheektowaga. She enjoyed traveling with her husband, and spending time with her 10 grandchildren and three great-grandchildren. In addition to Patricia M. Curtin, she is survived by three other daughters, Ann E. Maxwell, Eileen J. Bellanca and Mary Ellen Curtin; and three sons, John J., William J. and Mark A. A Mass of Christian Burial will be offered at 11 a.m. March 17 at St. Joseph University Parish, 3269 Main St..